If you’re thinking about moving to Santo Domingo in the Dominican Republic but not sure of where to begin, here’s a beginners guide to all the know-how’s and to-do’s of living in this vibrant city! There are tons of different neighborhoods and things to do for anyone looking to enjoy living a few months or years here. Santo Domingo is also the hub for many cultural events, conferences, workshops and other activities where you can connect with locals and immerse yourself in the capitaleño way of life. You also won’t be alone as a foreigner here, there are tons of expats and digital nomads living in Santo Domingo, in addition to all the tourists stopping by. Fun fact: Lonely Planet’s recent book named Santo Domingo as the #1 travel destination in the country to visit! Airbnb – A great place to start. 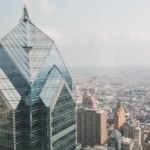 You can spend a week in different neighborhoods to see which is the best fit for your. This is also a great way to live and start connecting with locals! If you really like the place you could offer an off-Airbnb arrangement to the owner at a better price. Mercado Libre – You save the 12% commission/fees that Airbnb charges and it’s full of better long term options. Corotos – This is a great place to find apartments furnished or unfurnished. But usually, the owners here want 6-month minimum. However, you can always work something out if you don’t want to commit for that long to one place. This is also an amazing resource for buying/selling goods. Facebook groups – There are various on FB and here you can try to find roommates or others renting out apartments. Tu Casa RD is one that many people use. Passing through – Walk around the area that you want to live in and you’ll see “For Rent” signs in front of homes. This is a great way to get a better price because you’re talking directly to the owner instead of going through busy brokers. 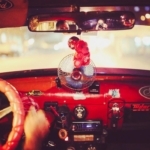 Uber – This is probably the most secure and affordable way to get around Santo Domingo. The minimum rate is 90 pesos. Or $30 pesos if you choose the moto option. Enter code q0vfd for $5 off! Cabify – Another application that’s used here, though I’ve found it to be a little more expensive than Uber. However, others argue sometimes it’s cheaper. Play around with it and see! Metro – The metro here is brand new (less than 10 years old) and very efficiently run. However, although it only goes through/to certain neighborhoods, it can be a great way to get around. The cost ranges from 20 to 35 pesos depending on if you have a metro card. 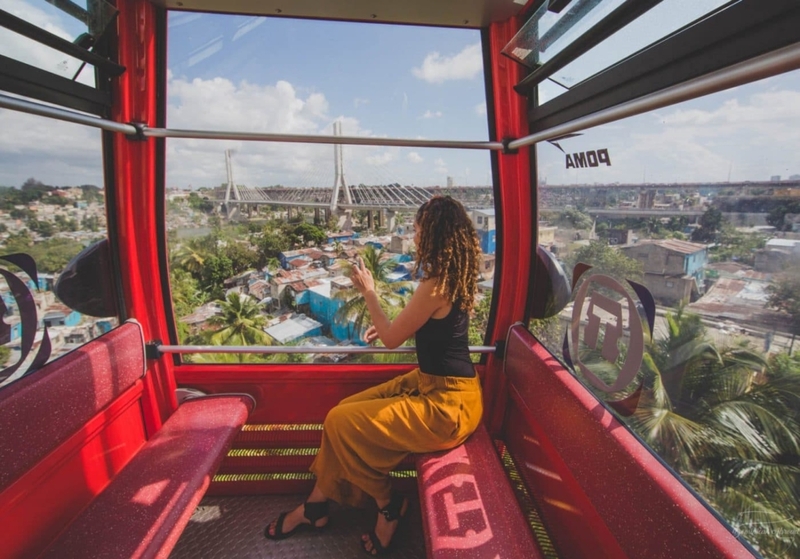 Teleferico – The teleferico in Santo Domingo is more than a fun way to see the city from above, it’s also how locals get around from the outskirts of the capital and into the city. It’s free/a part of the metro. Guaguas (buses) & carritos (collective cars) – These are collective buses or cars are shared among others going on the same route. You can find them going up and down the major streets. The cost ranges between 25 and 30-ish pesos depending on the type of car/route. Zona Colonial – Amazing, but if you need a gym or basic stuff you may have to come to the western part of town a lot of the time. Also, the prices for something more modern here seem relatively higher; unless you choose something more “rustic” you may be looking at around $1000+/month rent. Los Cacicazgos – A quiet neighborhood, next to the amazing Mirador del Sur Park. Gascue – More rustic, but closer to la Zona Colonial and with lots of vegetarian/vegan restaurants. Naco/Piantini – One of the more “upscale” neighborhoods in Santo Domingo but also really jam-packed with traffic. It’s loud and busy but close to everything. Bella Vista – This is my favorite area because it’s quieter and next to the park, supermarkets, and gym. When I first came to Santo Domingo, I packed an entire suitcase of things, thinking that it would be hard to find stuff here. But I was shocked to see the same things you’d find at Whole Foods or Duane Reade, right here! Not to mention we, here we also have…. AMAZON – Yep, you read right. You can order Amazon to the Dominican Republic! Through some Dominican ingenuity called Vimenpaq. Downtown Center Mall – Also has an amazing VIP theatre upstairs. Almacenes Unidos – This is like a Dominican K-mart. There are also tons of cute stores around the city of boutiques and small business shopping. Menu.com.do – Here you can find the places and call them by phone. This is recommended so that you have access to better health services in the country. Health insurance in the Dominican Republic is relatively affordable and easy to enroll in. This guide is a personal work in progress of my reflections living here on my own (away from family). I will continue updating and adding to it. If you recommend any places in specific that I haven’t mentioned, please them below in the comments! Love this! Mami keeps telling me to move to DR pero I’m so used to USA & safety concerns stop me. If I do love Santiago, La Ciudad de Caballeros me espera. What a great overview! I’m constantly contemplating moving again so tips like these are very helpful! Thank you!